During the current presidential race, Donald Trump has come under fire for outrageous and offensive positions on a range of issues. His history of bragging about how he would profit from the real-estate market crash that fueled the Great Recession has drawn considerable scrutiny. When the crash did happen, Trump took full advantage of it. In 2008, his supposed institution of higher learning offered workshops to students on how to make money off the foreclosure crisis in hard-hit places like California. 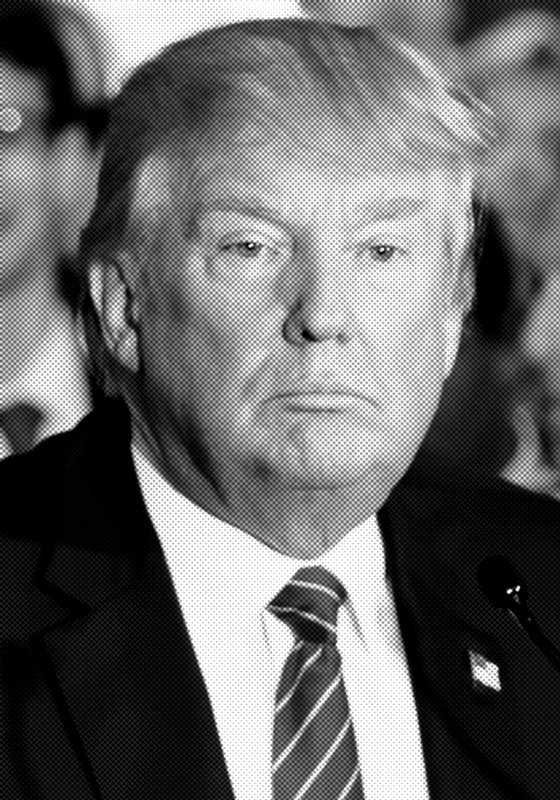 In recent years, three of Donald Trump’s most prominent donors – Steven Mnuchin, Thomas Barrack, and Geoff Palmer – have fueled and profited from the continued foreclosure crisis and the loss of affordable housing in California. Their Trump-style banking, speculation, and real-estate development together generate billions in profit by making housing and home ownership unaffordable for a growing number of Californians, especially in communities of color.  As this report from California Hedge Clippers shows, Mnuchin, Barrack, and Palmer are guided by the same reckless greed that has driven Trump’s career and even his infamous workshops at Trump University. It’s a worldview that would also inform a Trump White House. This report closely analyzes the business deals of Mnuchin, Barrack, and Palmer: the way their predatory practices work together to destabilize communities is systematic and far-reaching. Mnuchin foreclosed on thousands of California homes, while Barrack purchased these foreclosed properties and turned them into rental properties. Meanwhile, Palmer invested in cheap land and built high-priced luxury apartment buildings in major cities while fighting affordable-housing requirements, forcing rental prices to climb and displacing longtime residents in the process. Mnuchin is Trump’s National Finance Chairman and a member of his economic advisory team. He is also the former Chair of OneWest Bank, which carried out more than 36,000 foreclosures in California from 2009-2015 and engaged is a laundry list of predatory practices including robo-signing, dual tracking, and peddling reverse mortgages to senior citizens. Barrack started the pro-Trump Super PAC “Rebuilding America Now” and spoke in support of Trump at the Republican National Convention. He is the Co-Chairman of Colony Starwood, a real estate speculation firm and “Wall Street landlord” that bought up thousands of foreclosed homes in the wake of the housing crisis and turned them into rental units, thereby precluding thousands of Californians from achieving affordable ownership of those properties. Colony Starwood Homes owns 30,677 units of housing across the country, with at least 2,819 in California. Palmer is one of Trump’s largest donors, having contributed $2 million to the pro-Trump Super PAC “Rebuilding America Now.” Palmer is a Los Angeles area real estate developer who owns 10,400 rental units in Southern California. 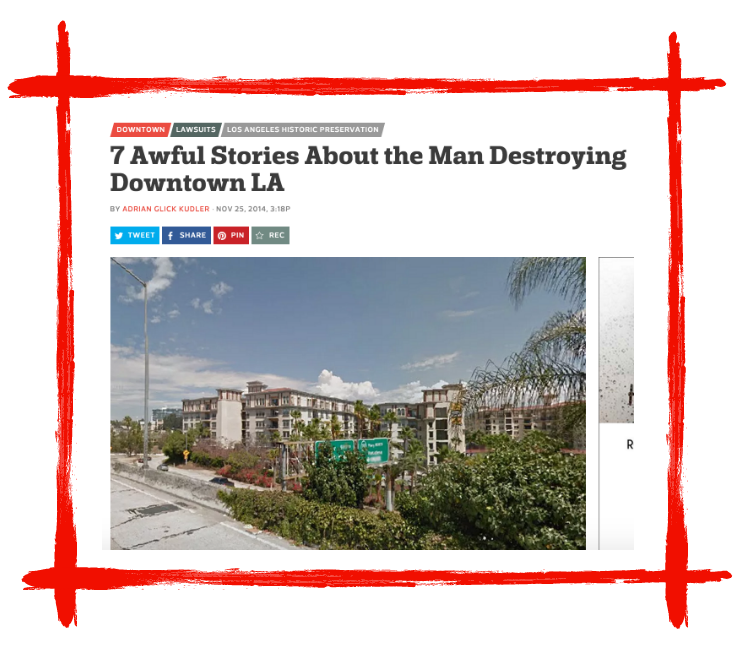 He has also been one of the most prominent opponents of mandatory affordable housing policies in Los Angeles, calling California’s affordable housing requirements “immoral” and “not American,” while successfully suing the city to preclude inclusionary zoning for rental properties in cities across California. 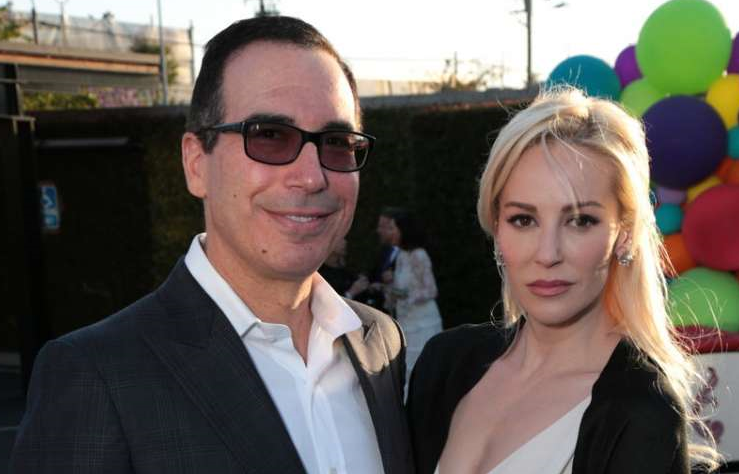 Before being named Donald Trump’s National Finance Chairman, Steven Mnuchin was primarily known as a Goldman Sachs partner turned hedge fund manager, member of one of New York City’s most influential families, and financier of Hollywood blockbusters including Avatar. Mnuchin’s high-profile role in the Trump campaign has put him in the national spotlight and prompted increased scrutiny of his career, including his role as the chair of OneWest Bank, an egregious bad actor in California’s foreclosure crisis. When Mnuchin agreed to be Trump’s National Finance Chairman last May, he pledged to raise $1 billion for Republicans and the Trump campaign–although that goal has now been amended to about half that. He himself has contributed $42,500 to Trump’s joint fundraising committee. Mnuchin is also a member of Trump’s recently announced economic advisory council, the team of real-estate investors, hedge fund managers, and bankers who are crafting Trump’s economic policy. Mnuchin’s hedge fund Dune Capital is perhaps best known as the owner of OneWest Bank, one of the most egregious bad actors in California’s foreclosure crisis that carried out 36,382 foreclosures in California between April 2009 and April 2015. In 2009, Dune Capital led a consortium of investors that purchased the failed mortgage lender IndyMac, one of the largest mortgage lenders in the country and a purveyor of Alt-A mortgages, loans often made without requiring borrowers to accurate state their incomes. In the summer of 2008, the government had taken control of IndyMac after customers withdrew deposits in droves amidst growing concern over the collapsing housing market. It was the third-largest bank failure in US history. Led by Dune Capital, the investors re-named IndyMac “OneWest Bank” and installed Mnuchin as the company’s chairman. 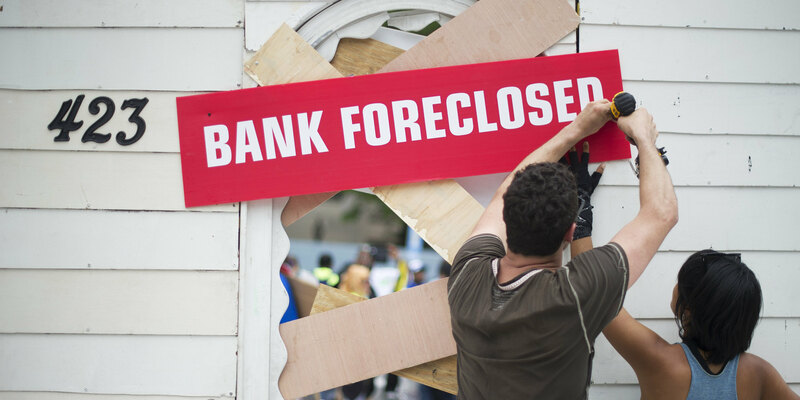 Over the course of 2009 to 2015, OneWest engaged in numerous predatory practices that included all of the hallmarks of the foreclosure crisis. Some of those practices are outlined here. In a July 2010 survey, thirty housing counselors cited OneWest Bank (OWB) as the worst offenders for not offering affordable loan modifications, more than all fifteen of the other servicers surveyed. In June of 2011, 50% of responding counselors rated OWB as “terrible,” a higher percentage than for all other eleven servicers considered. CRC also found that during Mnuchin’s time as chairman, OneWest carried out 36,382 foreclosures in California. Investigations into where these foreclosures occurred suggest One West’s foreclosures disproportionately hit communities of color, much like the foreclosure crisis on the whole. According to CRC’s analysis, of the35,877 OneWest foreclosures in California that had a zip code listed in data from PropertyRadar, 68% occurred in zip codes with a majority non-white population and 35% of the OneWest California foreclosures were in zip codes where the non-white population was more than 75% of the total population. “Robo-signing” was one of the mortgage servicing abuses that came to light during the housing market crash. The term refers to a variety of practices in which employees of mortgage servicing companies signed foreclosure documents without reviewing them, just assuming the paperwork was correct and signing it automatically (like robots), thereby allowing them to process large volumes of foreclosure paperwork faster. OneWest also engaged in “dual tracking,” the process in which a mortgage lender processes a homeowner’s request for a home loan modification while simultaneously putting the homeowner through the foreclosure process. In September 2013, a San Luis Obispo County couple won a seven-figure settlement and title to their two houses from OneWest when a judge determined the bank had engaged in dual tracking. OneWest was also heavily involved in servicing “reverse mortgages” for senior citizens. According to a Freedom of Information Act request CRC submitted to HUD, OneWest subsidiary Financial Freedom executed 39% of all foreclosures on federally insured reverse mortgages from April 2009 through April 2016, even though they only serviced an estimated 17% of the market. In other words, Financial Freedom foreclosed on twice the number of families and heirs as would be expected, given the amount of the market they serviced. A reverse mortgage is a type of loan in which the bank places a lien against a senior citizen’s house in exchange for periodic or lump-sum payments. The full amount borrowed is not due until the borrower dies, moves out, or sells the house. This type of loan has been widely criticized for high fees and predatory origination. Reverse mortgages can lead to numerous negative outcomes for senior citizens and their families, including “widow foreclosures.” Frequently, reverse mortgage brokers encouraged senior couples to leave a younger spouse off of their loan title, telling them that there was no danger of the other spouse losing their home if the person on the title died. But this was not the case; the practice left thousands of surviving spouses vulnerable to foreclosure. 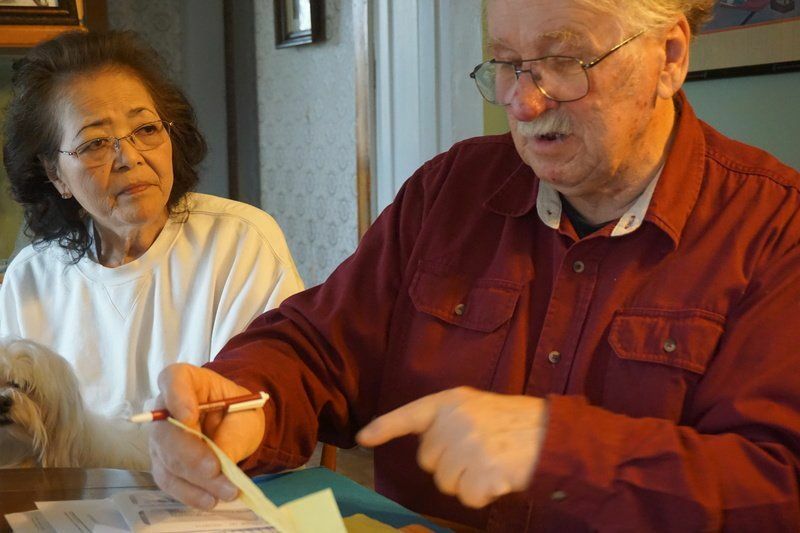 In some cases, OneWest subsidiary and reverse mortgage servicer Financial Freedom notified surviving spouses that they were being foreclosed on just days after their spouse died. The Consumer Finance Protection Bureau has introduced some new rules to protect widows from foreclosure, although not specifically from reverse mortgage related foreclosures. It seems these protections are sorely needed to stop Mnuchin from engaging in the practice. According to its most recent annual report, CIT Group (which purchased OneWest in 2015) is currently under investigation for its reverse mortgage operations. Despite its proven track record of predatory practices, OneWest received billions of dollars in corporate welfare. When the Federal Deposit Insurance Corporation (FDIC) sold off IndyMac to OneWest in 2009 and then La Jolla Bank to OneWest in 2010, it entered into shared loss agreements with the billionaire investors who bought the banks. Under the agreements, once the bank has foreclosed on a certain threshold of mortgages, the FDIC begins picking up the costs for OneWest foreclosing on families. According to the FDIC’s response to a Freedom of Information Act Request from the CRC, the FDIC has already paid $1,028,404,397 to OneWest. At the time of the FOIA, the FDIC estimated it would pay out an additional $1,430,023,160 bringing the total amount of corporate welfare going to OneWest $2,458,427,557. Mnuchin personally made $17.4 million over the past year and a half for his role as vice chairman of the CIT board. In 2015, he received $6.5 million in compensation from CIT – all while still holding his “day job” as the head of his hedge fund Dune Capital. When Mnuchin stepped down as the Vice Chair of CIT in March, he received $10.9 million as severance. Mnuchin is putting those millions to use on the 21,000 square foot Bel Air mansion he bought for $26 million. Billionaire real estate investor Thomas Barrack Jr. is the founder and CEO of Colony Capital, a hedge fund focused on distressed real estate assets, and Co-Chairman of Colony Starwood Homes, one of the increasingly prevalent “Wall Street landlords” that bought up foreclosed houses in the years after the housing market crash and then turned them into rental units, destabilizing communities and taking affordable home ownership out of the hands of Californians. Though little-known before, Barrack received ample media attention when he announced the launch of his pro-Trump super PAC, Rebuilding America Now, and after his glowing endorsement of Donald Trump at the 2016 Republican National Convention. Armed with $32 million in fundraising commitments, Barrack was enthusiastic about the role his super PAC would play in the general election. However, Barrack’s idyllic image of his organization is not entirely accurate. Rebuilding America Now has already flouted campaign finance law intended to deter campaign coordination by hiring a former Trump staffer to lead its efforts and putting Trump campaign logos in its ads. Barrack has poured $415,000 of his own money into Trump Victory, the Trump and RNC joint fundraising committee. In May 2016 he hosted a $25,000-a-head fundraiser at his home, where he claims to have raised $9.5 million for Trump. Barrack has also kept an apartment for years in Trump Parc East, a building at 100 Central Park South on the same floor as Eric, Trump’s second son. 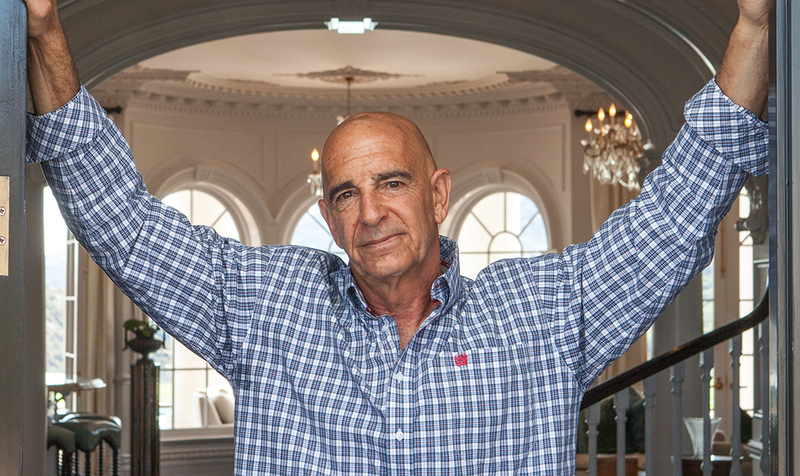 Tom Barrack specializes in speculating on distressed assets. He got his start in buying up loans from the federal government at rock bottom prices during the savings and loan crisis. 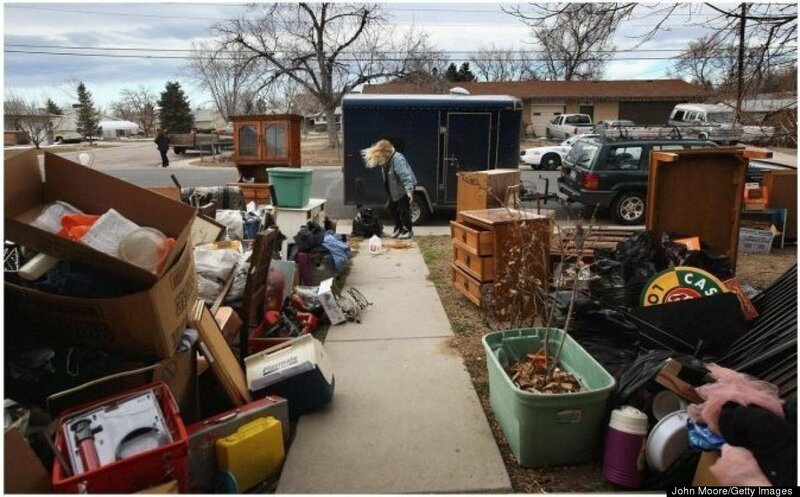 After the 2008 housing collapse, during which thousands of Americans, including victims of predatory mortgage lending, lost their houses, Barrack snapped up tens of thousands of homes. Through Colony American Homes (and later Colony Starwood Homes), these houses were converted to rentals, effectively removing thousands of houses from the market that could have been purchased by California residents and posing the threat of driving up rents and evictions to increase Colony Starwood’s bottom line. This profit scheme – called REO (Real Estate Owned) to Rental – plays a major role in destabilizing communities. A 2015 report from the California Reinvestment Coalition found that long-term tenants were being displaced and first time homebuyers were losing out on bids to all-cash offers by rich investors like Barrack’s Colony Capital. The report noted that Colony American Homes, Colony Capital’s real estate arm, and Waypoint Real Estate Group were two of the three largest Wall Street landlords in California and were consistently cited by respondents to their survey as “problematic” to communities. Waypoint was one of the first to seek private investors specifically to fund the purchase of foreclosed homes. In January 2016, Colony American Homes merged with Starwood Waypoint Residential Trust, a publicly traded real estate investment trust created by Waypoint and Starwood Capital Group, in a mammoth $7.7 billion deal. The post-merger Colony Starwood Homes is now the primary vehicle for Barrack’s residential investments – Barrack is a 35.1% shareholder of Colony Starwood and his private equity firm Colony Capital owns a further 14.5% of shares. In a 2013 interview, Barrack said that Colony was “purchasing as many single-family foreclosed homes as it possibly can.” Colony Starwood Homes now owns 30,677 units of housing across the country, with at least 2,819 in California, according to SEC filings. These are mostly single-family homes converted to rentals. In the California zip code where Colony Starwood owns the most properties (Vallejo, California, 94589), 83% of the population is non-white,  as compared to 61% of the state on the whole. 64% of Colony Starwood’s California properties are in zip codes where more than 70% of the population is non-white. Colony Starwood also has liens on homes underlying 3,997 “non-performing” loans, at least 197 of which are in California, that the firm will either modify and hold, resell to another lender, or foreclose to add the home to its rental portfolio or sell. Barrack’s professional background shows a willingness to take on high-risk deals with controversial clients. He was hired out of law school by Richard Nixon’s personal lawyer, Herbert W Kalmbach, who himself was indicted, convicted and served prison time in the historic Watergate scandal. Barrack later spent years working directly for the Saudi royal family after working with them through Kalmbach’s firm. In one noteworthy deal, Barrack negotiated an agreement between the Haitian dictator Jean-Claude “Baby Doc” Duvalier and two Saudi princes to allow the construction of an oil transshipment terminal by Texas businessman, Lonnie Dunn. Dunn had oil interests stalled in Haiti due to new OPEC regulations that required a contract between the Haitian government and Saudi Arabia. Barrack was called in by Kalmbach to broker the deal and play diplomat, which proved successful (and profitable) for Dunn and led to Barrack’s next career; real estate. In the wake of another financial crisis – the savings and loan crisis of the late 1980s – Barrack led RMB Realty to buy a portfolio of distressed mortgages from the federal government and sell them back to the original lenders, earning a $400 million profit. One look at Barrack’s personal wealth and anyone can tell that he does not experience the housing insecurity felt by many Californians. His numerous estates include the 1,200-acre Happy Valley Vineyard on Piocho Ranch, outside of Santa Barbara, where he lives with his family. In addition to the vineyards and winery, the ranch is home to horse stables and two regulation polo fields (Barrack is an accomplished polo player). His personal residences also include a relatively small pied-a-terre in the Donald Trump developed Trump Parc East in New York City, where he is neighbors with Eric Trump. Barrack recently listed his Santa Monica mansion – the site of his recent $25,000-a-head Trump fundraiser – on the real estate market. He is asking $46.5 million for the 7-bathroom, 13 bedroom manse that he purchased two years ago for $24.5 million. He also owns much of Costa Smeralda, a coastal area in northern Sardinia that is both renowned for its beauty and for its exclusivity. Costa Smeralda is one of the most expensive destinations in Europe. In addition to his residences Barrack has several curious luxury holdings. He took his taste for scouting out distressed properties and turned it on distressed people, making a cottage industry out of investing in “distressed celebrities.” To this end, Barrack’s Colony Capital is the owner of Michael Jackson’s iconic Neverland Ranch, which the firm purchased in 2008 to avert foreclosure. The deal worked much like one of his real estate purchases. Jackson, now purchased out of financial distress, would have to go on tour to “generate revenue.” Tragically, the pop star passed away shortly before the tour began. One of the adages in a list of “rules for success” that he sometimes distributes to employees is “befriend the bewildered.” And when you start applying the thought process of a vulture investor to pop culture, suddenly the world can seem dizzy with opportunity. Is Lindsay Lohan a drug-addled train wreck or an underestimated future cash machine? What about Mel Gibson? California luxury real estate developer Geoff Palmer is notorious in his home state for his ornate housing complexes and his ongoing assault on affordable housing policies Now he is earning national attention for his outsized contribution to a super PAC supporting Donald Trump that has already run afoul of campaign finance law by hiring a former Trump staffer and putting Trump campaign logos in its ads. Palmer became one of Donald Trump’s largest individual donors with a $2 million contribution to Rebuilding America Now, the pro-Trump super PAC founded by fellow developer Tom Barrack. That Palmer would be such an enthusiastic supporter of the Republican presidential candidate has surprised few. He has been described as Trump’s west coast doppelganger due to his penchant for “building ostentatious luxury projects that draw ire” and his belligerent attitude toward his critics. In Los Angeles, Palmer, like many real estate developers, is known for using campaign contributions to city council and mayoral candidates to ensure his real estate projects are approved. Since 2000, Palmer, along with his wife Anne, his brother Dan (his one-time partner who has now started his own development firm), and Dan’s wife Ashley have contributed at least $63,350 to Los Angeles city candidates. That number is significant, since Los Angeles has campaign contribution limits of $700 per person to city council candidates and $1,400 per person for Mayoral, City Attorney, and Controller candidates. Palmer and his family have even made contributions to candidates competing for the same office. Palmer’s $2 million dollar check to Trump and other federal campaign contributions reveals he is not content with just using his money to get his local real estate projects approved. He has a national ideological agenda and uses his money to forward that agenda. So far in 2016, his major donations have included a $100,000 donation to John Bolton’s national security focused super PAC, $89,600 to the National Republican Congressional Committee, and a maximum individual donation to Paul Ryan. Not including his $2 million contribution to Trump, since 2000 Palmer has contributed $1,436,160 to Republican candidates for president and Congress as well as to conservative political action committees, including the Tea Party Express and the Tea Party-connected FreedomWorks. Palmer’s company, GH Palmer Associates, owns 10,400 rental units in Southern California, together worth over $3 billion. His properties are widely derided as “faux-Italian fortresses” that stand in contrast to the neighborhoods in which they are built. Rents for a studio in the Orsini complex start at $1,700, while a two-bedroom apartment starts at $2,350 per month. Palmer is the biggest residential real estate developer in downtown Los Angeles, owning 3663 units in the area. His properties include the Orsini (1072 units), the Medici (632 units), Piero (560 units), the Visconti (297 units), the Lorenzo (913), and the Skyline Terrace (198 units). For one complex Palmer even sought to build a pedestrian bridge for the property’s residents, allowing them to bypass sharing the street with the homeless population. The City of Los Angeles filed a lawsuit against Palmer in February 2016 for not having an adequate fire protection plan after one of his mammoth projects went up in flames.The development, The Da Vinci, was constructed with a wood frame rather than the traditional steel and concrete used in most large downtown buildings. Geoff Palmer has a long history of fighting affordable housing requirements. In 1998, after purchasing land for his first downtown project called “the Medici,” Palmer objected to a 1991 Central City West plan requiring that 15% of the units be made affordable to low-income households. Palmer negotiated with city officials, eventually reaching a reluctant agreement to make only 9% of the project below-market units (60 units total). But Palmer still refused to set rents to be affordable to the poor. Instead, the city allowed him to target the 60 units for moderate-income residents, which violated the spirit and substance of the set-aside rule. Criticism from affordable housing activists delayed the project, but eventually the city let Palmer off the hook again. In 2004, he agreed to pay $2.8 million to avoid having to include any low-income units in the Visconti. By 2006, Palmer had had enough with what he viewed as unwarranted government interference with his property rights. When city officials insisted he comply with the affordable housing set-aside for his Piero project, Palmer again refused. Then, he sued the city. In his lawsuit, Palmer argued that the affordable housing rule put the city in the position of setting the rent for his units. Palmer’s suit centered on an interpretation of the Costa-Hawkins Act – a state law enacted in 1995 after heavy lobbying by the real estate industry, which sought to eliminate rent control in California cities. The law didn’t entirely do away with rent regulations, but it insisted that landlords had the right to raise rents to market levels once a tenant vacated an apartment. This time the city would not negotiate a settlement, hoping to defeat Palmer in court. But the courts disagreed. 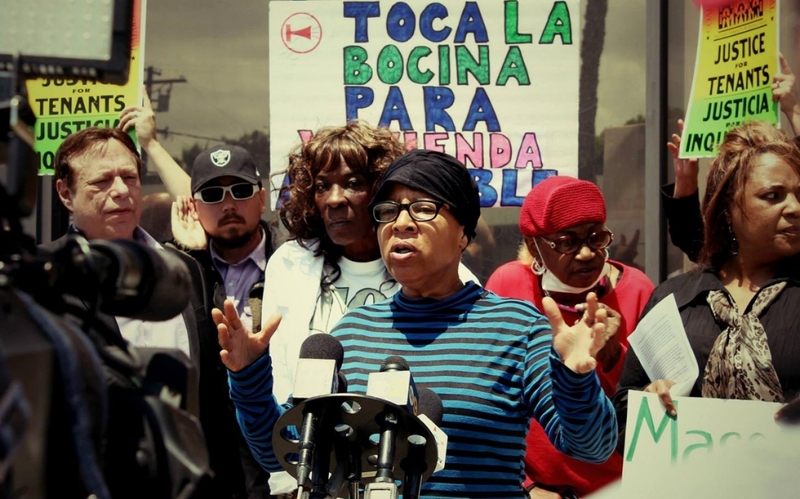 In 2007, a trial court and then the Second District Court of Appeal ruled in Palmer’s favor, claiming that LA’s affordable housing set-aside rule violated the Costa-Hawkins law. The court of appeals also sided with Palmer in 2009. The court decision put “inclusionary zoning” laws in 170 California cities in legal limbo. The ruling meant that housing advocates and city officials lost one of the few tools available to them to help address the severe shortage of affordable rental housing. In 2013, housing advocates sought to narrowly amend the Costa-Hawkins law by excluding local inclusionary zoning ordinances under the statute. The legislature approved the bill, but Governor Jerry Brown, under heavy pressure from the real estate lobby, vetoed the measure, thus keeping the so-called “Palmer decision” in place. While there is a growing chorus calling on Governor Jerry Brown and state lawmakers to enact legislation that would allow cities to require affordable housing in new for-sale and rental developments, it seems Palmer has no plans to soften his stance on affordable housing. The affordable housing fight is not Palmer’s first over-the-top effort to get his way. In 1991 he was charged with 15 campaign finance violations for illegally obscuring the source of contributions to the Southern California Caucus, a political action committee opposed to Santa Clarita cityhood. Palmer’s company wanted to exchange some infrastructure improvements for the right to build 1,452 condominiums and the city’s new status could have resulted in tighter regulations. Palmer was caught for illegally reimbursing his employees through his company for their contributions to the anti-cityhood committee and slapped with a $30,000 fine. The LA Times reported that he used a “similar scheme to disguise the source” of contributions to an LA Councilwoman in a district where he wanted to build. Additionally, a previous California Hedge Clippers paper identified Palmer as one of the donors to Americans for Job Security, the dark money group that funneled massive sums into efforts to oppose Proposition 30, a millionaires’ tax, in California in 2012. In another instance, Palmer was working on a new luxury complex that was being built adjacent to the last Victorian building in Bunker Hill, the Giese House. The house, which stood in the way of his construction progress, was protected under local preservation law and would need to be moved away from Palmer’s new development site. But before the house could be relocated Palmer’s workers destroyed it by backing into it with a bulldozer then razing it without a permit. Palmer claimed that the demolition was accidental and paid a $200,000 fine but not before attempting to sue the city for $10 million for fining him in the first place. It is clear from his words and actions that Palmer cannot personally relate to how the housing crisis impacts Californians on any level. His opulent lifestyle only strengthens that point. Palmer’s residences include a $21-million mansion in Beverly Hills, a $17-million house in Malibu – which LA Times columnist Steve Lopez noted had “solid bronze doors, teak cabinets and his-and-hers bathrooms,” an estate in St. Tropez and his own Boeing 727 to cart him between them and whisk him off on worldwide golfing jaunts with his buddies. Using LexisNexis property search, we identified 1888 properties in California owned by Colony Starwood and their affiliated DBAs (Doing Business As) as of June 2016. Census information was available for 1879 of those 1888 properties. “Non-white” refers to anyone who is not designated by the census as “Not Hispanic or Latino—White alone.” See here: https://factfinder.census.gov/faces/tableservices/jsf/pages/productview.xhtml?pid=ACS_14_5YR_B03002&prodType=table. Racial data for zip codes was taken from the 2014 5-year averages from the American Community Survey.